This Shopper bag is large and comfortable. Classic Line (HF): 55% hemp, 45% organic cotton, leather inserts. Different colors: Black and Camel. This Shopper bag is large and comfortable. Ideal for the city, daily work and holidays. The large main compartment can be closed thanks to long zip. On the front there are positioned diagonally pockets with zip closure. 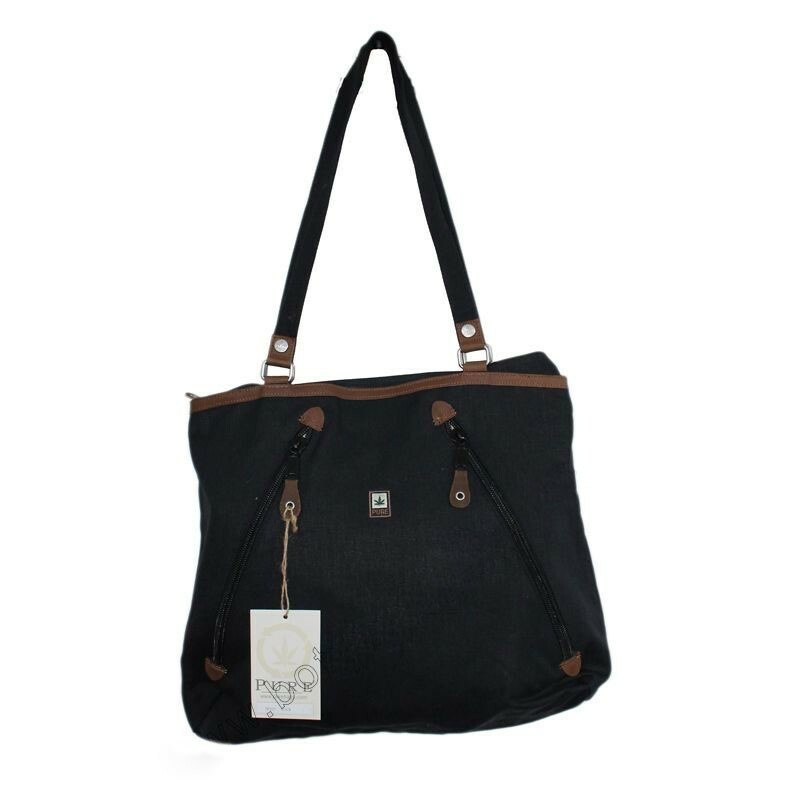 The bag has two fabric widths of 2.5cm wide and 80cm long, the right length to easily carry the bag on the shoulder. Measures: height 40 cm, width 42 cm, depth 13 cm.